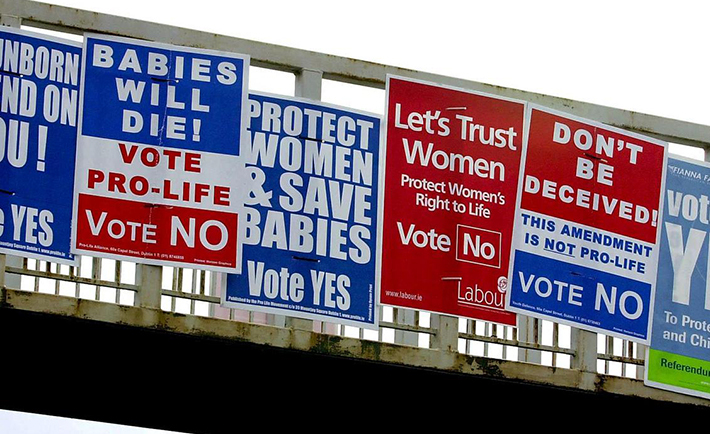 We are becoming a more liberal society, but is Ireland ready for abortion? The topic of abortion in Ireland has been the subject of a great deal of controversy for the last number of years. There was outrage in 2012, after the death of Savita Halappanavar, who died of septicaemia having being refused an abortion while she was suffering a miscarriage. In 2013, a new act was passed called the Protection of Life during Pregnancy. This act states an abortion is legal in Ireland if there is risk to a woman’s life. However controversy rose again in 2014, when the question was raised whether or not to turn off the life support of a pregnant woman in order to give her unborn child a chance of survival. In this case, when it was deemed that the child wouldn’t survive, the life support was switched off. The way that abortion is perceived in Ireland is changing. In the past, it was considered a great sin against the Catholic Church, but now opinions are changing with consideration to the health of women during pregnancy and the child’s rate of survival in the womb. But it’s not just opinions about abortion that are changing in Ireland. The Government are also working on Transgender Recognition Bill as Ireland is the only country in the EU that doesn’t recognise transgender rights. Irish society is changing and we are becoming a more inclusive, liberal community. It is clear that we will be facing many referenda in the near future as Ireland becomes more comprehensive and welcoming.